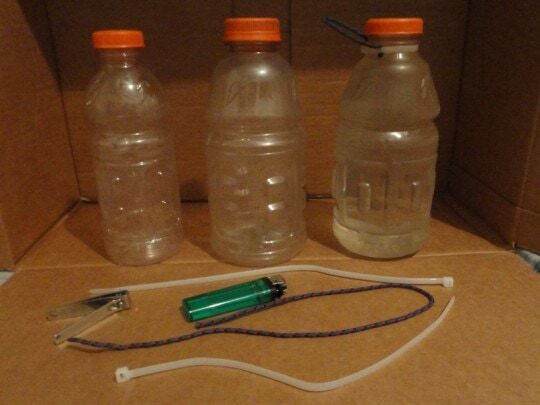 This post isn’t going to contain any life altering revelations, but enough people have remarked “Oh hey, that’s a great idea!” to me that I thought I could share it with my readers… A quick, cheap, and lighter hard sided plastic bottle for backpacking or climbing trips. Pick up a 32oz Gatorade bottle from your favorite corner store. BONUS: Enjoy a refreshing flavored beverage! 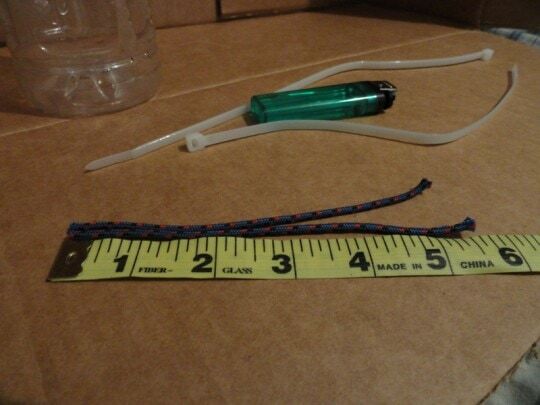 Rummage up some P-Cord or climbing accessory cord along with a plastic zip tie at least 6″ in length. You’ll need some scissors or a nail clipper along with a lighter. Burn the ends of the P-Cord to a nice melted bulge. 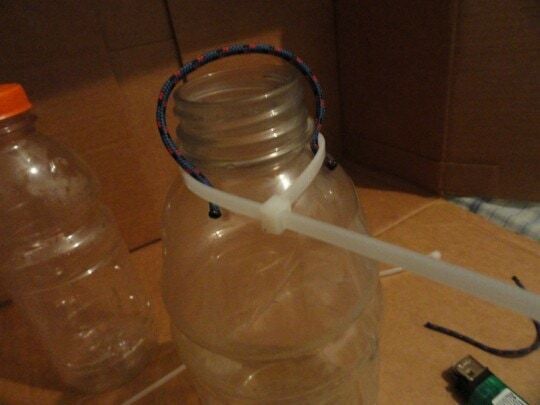 Slip the zip tie loosely around the neck of the bottle and insert the P-Cord. 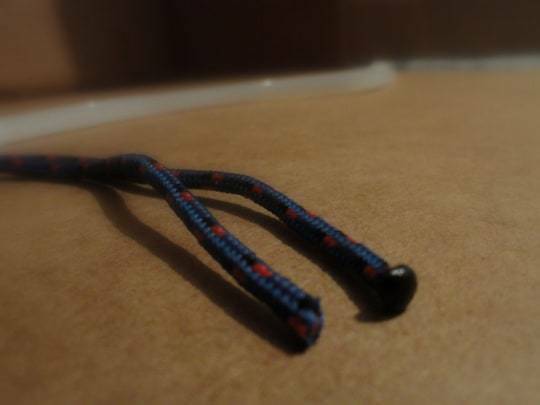 Pull the zip tie as tight as possible around the neck, carefully pulling the burnt ends of the P-Cord snug against the zip tie. 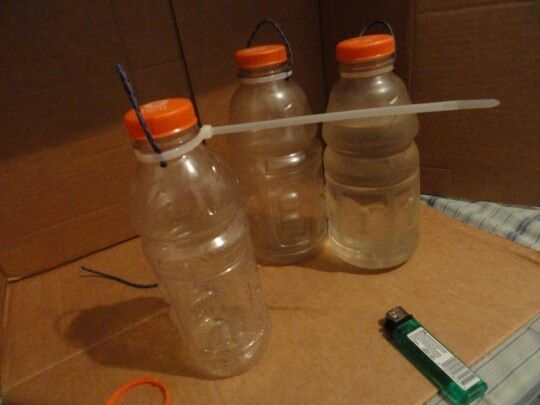 Clip off the excess zip tie and give it a little melt with the lighter to reduce sharp edges. Boom! 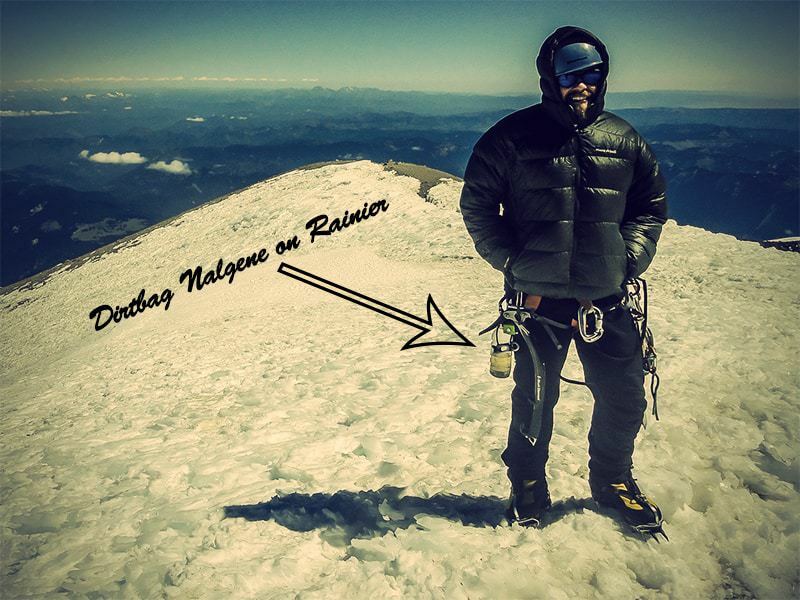 You’ve got yourself a dirt cheap reusable water bottle that you can clip to your harness, your pack, or wherever. These bottles are durable and super light. I’ve never had a cord break or slip out in my couple years of using this approach. I usually carry one large 32oz bottle that I can clip somewhere on my pack and I also carry the .5 liter Gatorade with the same setup. The half liter bottle is perfect for clipping directly to my harness while out climbing or for fitting into the shoulder strap bottle holster on my Mountain Laurel Designs Prophet Pack. I still usually carry one wide mouth soft-sided container since I usually use a Steripen to treat water. Gatorade bottles are made with Type 1 plastic. 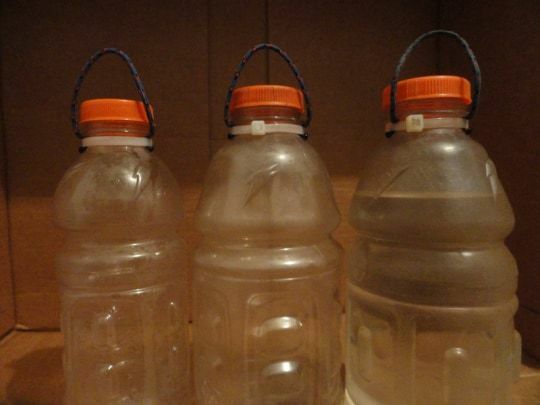 There is conflicting information out there about whether it is safe to reuse plastic bottles like this, and whether they might leech harmful compounds into the water. I personally have not seen enough convincing evidence to dissuade me from reusing them, and many others do the same. As one BPL commentator put it how could you store acidic Coke for months on end safely and then refilling it with spring water prove to be dangerous? 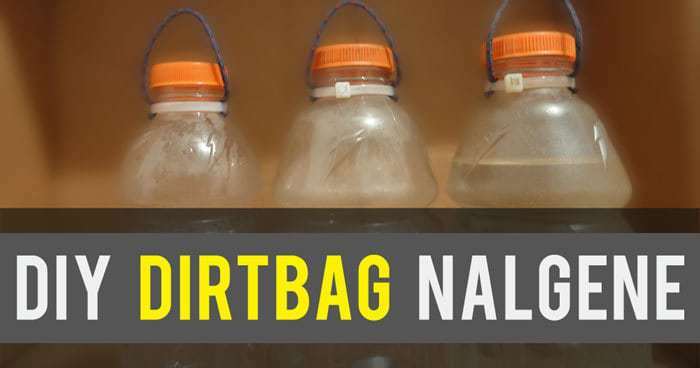 It is certainly true that unwashed bottles can and will build up bacteria. It has been reported that washing PET bottles with hot water can exacerbate leeching of chemicals like DEHA, a possible carcinogen. In any case, I wouldn’t pour boiling water in them, they will warp. 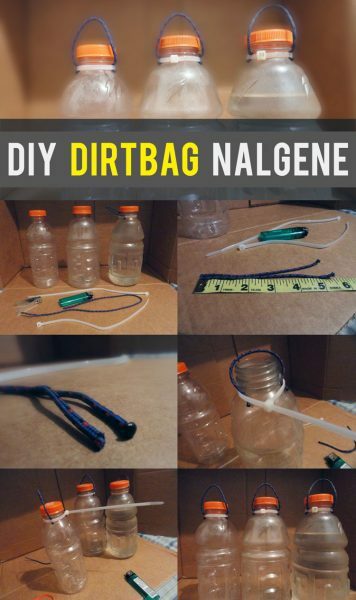 Furthermore, you should probably periodically replace your Dirtbag Nalgene bottles–on the plus side you can reuse the cord when you cut the zip tie. BackpackingLight.com forum thread discussing the Pros and Cons of reusing these bottles. MSN talking about why you shouldn’t reuse these bottles.